There is a large number of ways in which you can now improve your English language skills, and taking a course online is just one of them. There are several advantages that come with taking an online English language course. First and foremost, learning online is convenient– most people are busy with work or family matters, and finding time to attend an English language course in a physical classroom can be difficult. With an online class, you can log in and out as needed, whether you’re on your way to work or are just enjoying your lunch. If you want to contact your tutor, you can easily do so via email or Skype. 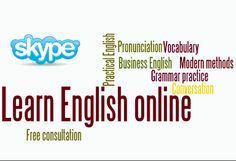 Another advantage of learning English language online is that it encourages the student to speak more. The nature of online learning will naturally make the spoken language a priority. Plus, people are far more comfortable practicing their oral language skills when they are not in front of a classroom full of students. This could help to build confidence more quickly. The fact that taking an English language course online does not necessarily involve being in the same country as the language school is also a great advantage. If you want to improve your skills so you can spend time in a foreign country, for instance Australia or New Zealand, you could easily begin this when you are in your home country. In summary, online learning does not really have any time zones, so it does not matter what time it is in your home country. You can log into your class at the time that is convenient for you. With email and Skype readily available, there are many ways to get in touch with tutors; you don’t need to physically visit your course instructor. So, if you haven’t thought of taking taking English courses online, it is worth giving it a shot.